The Lamborghini Huracan Evo has been given reasonable styling and power upgrades in a bid to make it even more agile and mature on the tarmac. The Lamborghini Huracan Evo gets a revised front and rear end to better its aerodynamics. The Lamborghini Huracan Evo is the facelifted avatar of the Huracan. Its design has been revised for better aerodynamics. The same 5.8-litre, V10 motor is now tuned to churn out 28 bhp more. Lamborghini has been on a roll in India right from the launch of the Urus which has doubled its sales in our market. It looks like Lamborghini has again pulled up its socks entering into 2019 and is ready to build upon the excitement with new models. 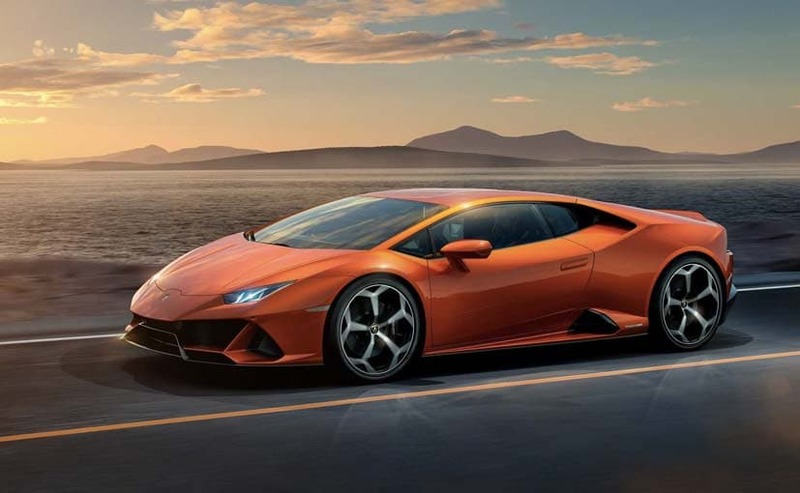 The Bull has started the year with the launch of an even more manic version of the Aventador- the Lamborghini Aventador SVJ and the Italian carmaker is now geared up to launch the Huracan Evo in India on February 7, 2019. The Lamborghini Huracan Evo gets refreshed styling, more power and improved aerodynamics over the standard version. At the rear, the new Lamborghini Huracan Evo gets a wider diffuser and sharper ducktail spoiler. On the outside, the new Lamborghini Huracan Evo gets new bumpers, a bigger rear diffuser which sports two exhaust pipes on either side of the license plate and a sharper ducktail spoiler in a bid to improve the downforce drag. 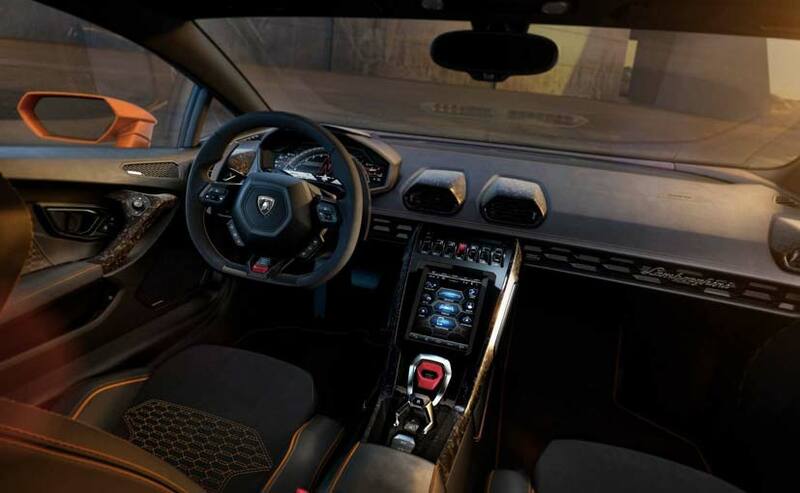 The cabin of the new Lamborghini Huracan Evo looks largely the same, save for a larger 8.4-inch touchscreen unit which is equipped with Apple CarPlay and has more internal storage. The cockpit of the Lamborghini Huracan Evo largely remains the same save for the larger 8.4-inch touchscreen unit. Powering the new Lamborghini Huracan Evo is the same 5.2-litre, V10 motor which now churns out 28 bhp more at a staggering 631 bhp and a heavy peak torque of 600 Nm. This engine propels the Huracan Evo to triple-digit speeds in just 2.9 seconds and it takes just 9.0 seconds to clock 200 kmph. The Lamborghini Huracan Evo can take a top-speed of 323.5 kmph. Moreover, the underpinnings of the new Huracan Evo have also been upgraded and in addition, it has a new chassis control system which the Bull calls Lamborghini Dinamica Veicolo Integrata (LDVI). What it does is that it controls the dynamics of the car with the inputs it gets from the sensors that sense the tarmac ahead along with assessing the behavior of the driver. To further accentuate the drivability it's been fitted with magnetorheological dampers for better leveling according to road conditions and lateral movements. 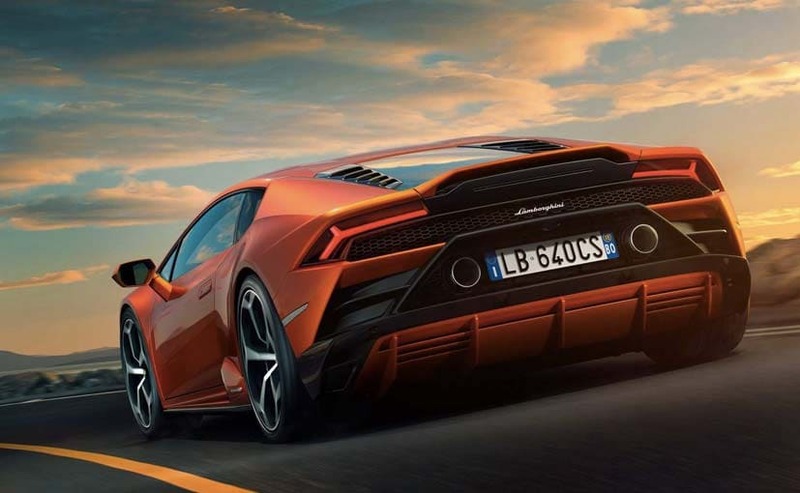 In turn, Lamborghini has also worked on the torque-vectoring system in a bid to maintain the cornering stability and agility even better by sending just the right power to the opposite wheels while cornering which is further complemented by an improved steering system. Though the Lamborghini Huracan Evo will be in its own niche and will have a reserved set of buyers, it will sure be fun to see and hear this on the road and specially if the owners choose to make it to the track days at the Buddha International Circuit and other car events.